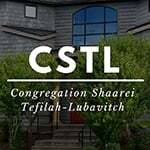 Erev-Shabbos Farbrengen in the CSTL Social Hall, in honor of the Tes Kislev, birthday and yartzeit of the Mitteler Rebbe, and Yud Kislev, the Miteler Rebbe's Chag Hageula. Chabad of King County is sponsoring this week's kiddush, in honor of the 9th of Kislev, the Birthday and Yahrtzeit of the Mitteler Rebbe, Rabbi Dovber, OBM, the second Rebbe of Chabad and Erev Yud Kislev, the day celebrated as the liberation of Rabbi Dovber from Czarist imprisonment.. We will also have a delicious meat cholent, sponsored by Dr. Vernon and Liz Neppe and made by Rabbi Mendy Levitin.. Seuda Slishit Lite. At Mercaz – 6011 37th Ave NE. Seattle Kollel Mishna Yomit Seder Nezikin & Tractate Bava Kama MON evenings. LIMMUD SEATTLE – 6:30 PM JAN 19th- to 6:30 PM JAN 20th, 2019. “The deeds of the Patriarchs are a sign for their descendants,” and provide us with guidelines regarding our own conduct. Thus, the above narrative teaches us the following lesson: Each Jew has two dimensions within his being — the soul and the body — which correspond to Eretz Yisrael and the Diaspora respectively. A Jew’s soul is “actually a part of G‑d,” which has descended from “a high roof to a low pit,” to this material world to enclothe itself in the body. Even as it exists within the body, the soul is, as we emphasize in our morning blessings, “pure.” Thus, it parallels Eretz Yisraelwhich is a land of holiness and purity. In contrast, the body is “a snake skin,” a material entity and parallels the Diaspora which is an impure land. A Jew’s service must encompass both these spheres. He must carry out “the service of the soul,” activity in the realm of holiness which resembles Eretz Yisrael” and also, “service with the body,” which like the Diaspora, involves entities which must be endowed with holiness through our efforts. Since an angel is created from every positive deed which a Jew carries out, we each have two camps of angels: one camp of angels that are involved with holiness (Eretz Yisrael) and one camp of angels that are involved with worldly matters (the Diaspora). The fact that Yaakov named the place Machanayim conveys a further lesson. A Jew’s service can effect the nature of the place in which it is carried out. Naming a place indicates that one takes control of it and can, therefore, convey the name which reflects the entity’s life-force and nature. By naming the place Machanayim, Yaakov (and similarly, the Jewish people who perpetuate his heritage) reveals how the influence of the two camps of angels permeates through even the material substance of the worlds. An additional explanation relevant to the above concept can be derived from the fact that the name used for G‑d in the expression “the angels of G‑d,” is E‑lohim. E‑lohim refers to G‑d as “the Almighty, the master of all potential and power.” Thus, the angels described as “the angels of E‑lohim,” are angels that result from service that requires strength and power to be performed, indeed, strength and power that transcends man’s natural abilities. This relates to the Alter Rebbe’s interpretation of the phrase, “a servant of G‑d (E‑lohim)” in Tanya as one who goes beyond his nature and exerts energies above the norm. To apply this concept in the realm of the service with the animal soul (i.e., the Diaspora, the refinement of the worldly): In Torah Or, the Alter Rebbe relates the word ya’avod, in the verse, “You shall work for six years,” to the concept of oros avudim, “processed hides.” Our Sages consider the processing of leather as a difficult and undignified work.2 Parallels exist in our efforts to refine the animal soul. In a manner closely resembling the processing of leather, great efforts are required to refine the coarse and material nature of the animal soul. Similarly, in regard to the service of the soul (i.e., Eretz Yisrael, the realm of holiness), in Tanya, the Alter Rebbe explains that the title “a servant of G‑d” is conveyed only upon a person who breaks his nature and goes beyond his normal pattern. Even a person who “studies his subject matter 100 times,” “who has never committed even a minor sin and has fulfilled all the mitzvos possible for him to fulfill including Torah study,” never once negating this mitzvah, may not be worthy of being called “a servant of G‑d,” because he does not work to break his nature and transcend his normal habits. Thus, the concept of work involves strenuous effort that requires power and strength beyond man’s natural capacity. This, in turn, elevates the object of one’s service above its normal level. Thus, in regard to the animal soul, this involves a change in and a refinement of its basic materialistic nature. In regard to the G‑dly soul,3 it produces a similar change, lifting it above its normal level of service. From a level of limited holiness, one proceeds to an unlimited point of service which requires an effort parallel to that required in processing leather. The concept of unlimited and unbounded service is also reflected in the actual service of refining the body and the animal soul. There are two dimensions to this: a) an unlimited range of areas in which this service is expressed. Furthermore, each activity leads immediately to a further act. b) An unlimited scope of refinement. After one has completed the work of refinement on one level, one proceeds to a higher and deeper level of refinement. These two dimensions are reflected in the two “signs” which the Torah gives for a kosheranimal,5 split hooves and the chewing of the cud. Both these signs are connected with a twofold nature. In regard to split hooves, the animal’s foot is separated in two portions. Similarly, chewing the cud involves regurgitating the food and swallowing it again, a twofold process of ingestion. A twofold nature reflects a totally unbounded dimension. The repetition implies a cycle which continues, constantly increasing and reaching higher levels. This unlimited dimension is expressed in two dimensions: a) Split hooves — when one proceeds to perform in the world at large, one’s progress is twofold in nature. This implies that immediately one activity will be followed by another. b) Chewing the cud — by regurgitating its food and chewing it again, the animal allows for better digestion. Homiletically, this implies that a person will not remain satisfied after carrying out one level of refinement, but rather will seek to continue further, reaching higher and more developed levels. In this context, we can explain the significance of the name Machanayim, “two camps.” This name reflects, not only the joining of the camps of angels from Eretz Yisrael and from the Diaspora, but also a twofold — and thus unbounded — approach to service. The fact that Yaakov carried out his service both in the Diaspora and in Eretz Yisrael (both mundane and holy matters as above) indicates that both dimensions of his service were motivated by a commitment to serve G‑d beyond his individual nature. This implies two concepts: a) that the emphasis in his service of refinement was not for refinement in and of itself, but as a reflection of his commitment to go beyond his individual nature. b) That after he completed this work of refinement, he did not remain satisfied with a limited service in the realm of holiness, but served G‑d beyond his natural limits in this realm as well. Directly after Yaakov was met by these camps of angels, he sent, as the Torah relates in the beginning of Parshas Vayishlach, “emissaries7 to Eisav, his brother, to the land of Seir,the field of Edom.” Not only did Yaakov involve himself in a twofold service, elevating his surrounding environment and rising higher in the realm of holiness, he sought to refine and elevate even the lowest aspects of existence, Eisav and the field of Edom. This concept can be related to the concept of kosher animals mentioned previously. There are four species of animals (the camel, the rabbit, the hare, and the pig) that possess only one of the two signs of kashrus (split hooves and chewing the cud). Our Sages explain that these four species correspond to the four exiles in which the Jews have been forced to linger. The fourth species, the pig, corresponds to the exile of Edom. Our Sages point to an aspect in which the pig is more reprehensible than the other three species. The pig lies down and lifts up its split hooves as if to say, “See, I am pure.” Similarly, Eisav and Edom cover up their undesirable traits and portray themselves as good. For this reason, the exile of Edom has been longer and more severe than the other three exiles. 2. This Shabbos falls in the month of Kislev, the third of the winter months. Thus it parallels Sivan, the third of the summer months, the month associated with the giving of the Torah. Furthermore, in this context, there is an advantage to Kislev over Sivan which reflects the service of transcending one’s nature mentioned above. There is another dimension of the winter season which is signifi­cant; the nights are longer. Our Sages explain that “night was created for Torah study alone.” Similarly, the Hebrew word for winter, choref shares the same root as the Hebrew charifus which refers to acute in­tellectual analysis. Thus the winter, and in particular, Kislev is associated with man’s efforts to toil and work in Torah study. Based on the above, we can draw a connection between the parshiyos, Vayeitzei and Vayishlach and Kislev, the month in which they are read. Both these portions describe the service of Yaakov, the third of the Patriarchs. Similarly, Yaakov is associated with the service of Torah study. Even the refinement of the world which he accomplished was achieved through the medium of Torah. Peace is associated with the number three, i.e., two conflicting opinions and a third influence which resolves the conflict. Similarly, the number one is associated with G‑dliness. The number two is associated with the world and the division its creation appears to have brought about. The number three, however, is associated with the Torah which resolves this apparent division and establishes peace between G‑d and the world. Thus, there is a connection to Parshas Vayeitzei which, as explained above, reflects Yaakov’s service of going beyond his nature both in the service of Torah study (the angels of Eretz Yisrael) and the refinement of his environment through Torah (the angels of the Diaspora). Similarly, there is a connection to Parshas Vayishlach for the transformation of Eisav to which it alludes is accomplished through Torah study. The Torah is the medium to bring about this transformation of darkness to light. There is also a connection with Parshas Vayishlach which contains an obvious allusion to the sending of shluchim. Thus, it relates to the International Conference of Shluchim which was held last week. Since Shabbos represents the completion of the service of the week, it is obvious that this Shabbos can be used to enhance and increase the resolutions to spread Torah and Chassidus that were made at that Conference.